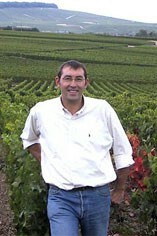 Pierre Larmandier’s reputation continues on its upwards trajectory and La Maison Larmandier Bernier is now perceived as one of the greatest addresses in Champagne. The ingredients for this success are many and varied; biodynamic viticulture, wonderfully old vines, fantastic locations and aspects for the vines, and a non-intervention approach in the winery to mirror the respect for nature in the vineyards. Nothing out of the ordinary on the face of it, but when all elements are joined together the results are little short of outstanding. The perfect expression of the purest Chardonnay.